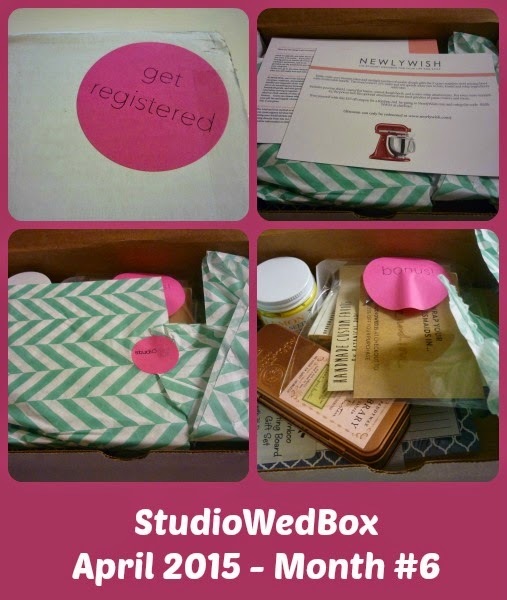 As part of my wedding planning, I have been subscribing to StudioWedBox. I like receiving this box every month as it helps me with wedding ideas and gives me plenty of inspiration. Here’s what has been in the last few boxes. Items received – cute thank you stamp and gold ink pad from A Sensible Habit, moistener bottle to help stick down all those envelopes, black felt tip pen, envelopes and cards from the Paper Source and a necklace trinket. I am glad to have discovered the Paper Source – I love these So Happy Together Coasters, table numbers and photo prop kit. Theme – All about the bridal party! Items – Pearl stud earrings from Amy O Jewellery, make up pouch from Mainstreet Collection, Jack Black Shaving Kit and Mainstreet Collection bow tie. Items – a dice game (to keep the kids entertained), small picture frame from Kate Aspen (suggested as a way to display your table numbers), confetti push pop from Thimble Press and Toss Me lavender buds from Pressed Cotton. Pressed Cotton ship world wide and they have quite a few goodies that I like. I like these tiny clear glass bottles for little flower arrangements as table centrepieces. The Toss Me bag that I got in the box is pretty cute too. I think I could fill them with rose petals. I’d love to do confetti, but my ceremony venue has a no confetti policy, but you can do flower petals or biodegradable things. I’m also hearting this gold paper table runner and placemats. Thimble Press ship world wide as well, from them I am hearting the balloons and cards. The picture frame from Kate Aspen came with a 25% off with orders over $50 voucher. This is more for an engagement party, but I love the He asked, she said yes paper coasters. My other faves from this store include the Mr & Mrs straws, love cake topper and the country charm kissing bell. Items – help I’m tired caffeine alertness aid, Sky Ready travel kit, Keep calm and fly away luggage tag from Flight001 and The Laundress Wash & Stain bar. I think this is a good little honey moon travel kit. I’m keen to try The Laundress soap, as I have been wanting to try this brand for a while. I like that it brings a bit of luxury to such a boring task. StudioWedBox has a 12 month ($29.99US), six month ($34.99US) and monthly ($39.99US) option for the US and Canada. International shipping of $10US per month is available on the $39.99 option, making it $49.99 a month. The international shipping option takes approximately 15 plus days. I’m in Australia so I am using the international shipping option. Using today’s US dollar it would cost $68.30 AUD. I have really been enjoying my StudioWedBox journey. It gives me ideas for suppliers to check out and it’s a nice friendly reminder each month in the wedding planning process. 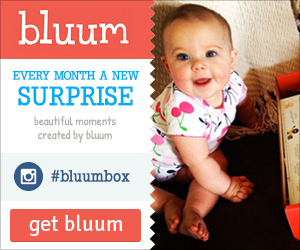 Who should subscribe to this box: brides-to-be! I also think that it would make a nice gift for a friend or family member getting married. Want more? Read previous StudioWedBox reviews to see if it is the right fit for you. This is my sixth StudioWedBox and I am very much enjoying the assistance it’s been giving me with my wedding planning. Each month is a different topic and it gets my brain on task with my wedding planning. This month’s theme was about organising the gift registry. StudioWedBox says – ‘This PaddyWax candle is for you to enjoy and relax with and light with some cute matches from Illume’. The PaddyWax Jane Austen Tin Candle is super cute and smells of gardenia’s and jasmine. It’s definitely a relaxing scent. I usually light my candles with one of those gas charged turbo lighters from Dusk. But it will be a nice change to go old-school and use a match. These matches are nice and long, so I won’t be worried about burning my fingers. This soap smells delicious and has a bit of a sugar scrub element to it. I love to treat myself with these kinds of products. I can see myself ordering a sample set of this at Christmas time! 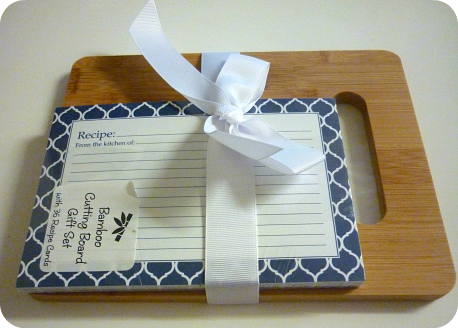 This is a cute mini cutting board and recipe cards set that would make for a nice gift. I’m not quite sure I would use it though. This cute bonus product is a sample of the Mint to Be Lip Balm Party Favours. These come with a custom label with your name and wedding date. The minimum order is $29.99 for 25 lip balms, making them cost $1.19 each. The lip balm is made from soybean oil, sunflower oil, beeswax, hemp oil, avocado oil, jojoba oil, cocoa butter, shea butter, vitamin e and aloe vera. 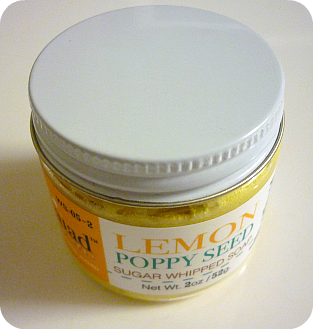 The balm goes on nice and smooth, and has a cooling peppermint feeling. You could also use these for a small gift at your bridal shower. I’m in Australia so I am using the international shipping option. Using today’s US dollar it would cost $64.22 AUD. This is not my favourite StudioWedBox but I still enjoyed it. There was over $30US worth of goodies in this month’s box. So if you purchase a 12 month subscription in the US, you have come out just in front value wise. So for me with the extra costs in relation to international shipping it wasn’t great value. However it did get me thinking and researching what kind of gift registry I would like to have. Personally I love the idea of an online gift registry because I think that makes it easier for people. The two that I have found that I like in Australia are From the Owl and Wedding List Co. In the US the lovely team at StudioWedBox recommends NewlyWish. I’d love to hear your recommendations for a gift registry. Read my previous StudioWedbox reviews.